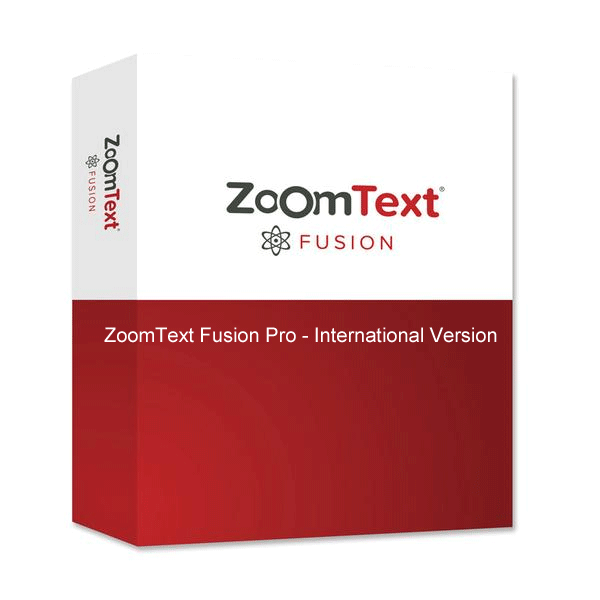 ZoomText Fusion Pro provides the features and benefits of ZoomText Magnifier/Reader, plus a complete screen reader. ZoomText Fusion Pro provides the features and benefits of ZoomText Magnifier/Reader, plus a complete screen reader. Fusion is perfect for individuals who, over time, want a smooth and safe transition from magnification to full screen reading. ZoomText Fusion grows with you, ensuring that you will always be able to use your computer.